If you really want to get a feel for a given culture, city, or region, one of the first things you want to do is examine the cuisine it holds dear. This is because food is so much more than simply a necessary staple. It’s an important part of how people express love and hospitality. It’s part of every celebration and every important event. A region’s cuisine is an important testament to the relationship between a culture and the land it calls home. All things considered, it’s not hard to see why the history of restaurants in America is such a popular area of study – especially here in the day and age of the “foodie.” Exploring historic restaurants, regional cuisine, and more through the right history books can help expand your culinary understanding of our great nation. If you’re serious about studying the history of restaurants and cooking as it relates to America, regional history books are definitely the way to go. Explore the unique culinary identities of various American communities and cities, including but not limited to Seattle, New York, Philadelphia, and San Francisco. Get a firsthand look at how Americans have cooked through the ages with classic cookbooks. If you’re really ambitious, you can even try some of the recipes! Arcadia Publishing boasts one of the largest and most comprehensive collections of old cookbooks and restaurant history books available anywhere. 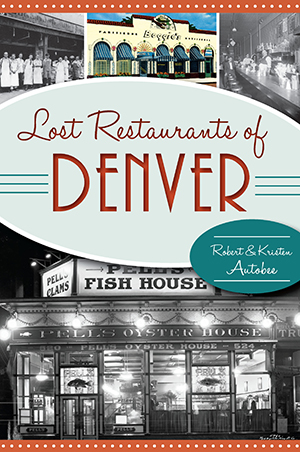 Read up on noteworthy restaurants, culinary figures, and locations that helped shaped the face of restaurant culture in America. Browse through a vast collection of classic cookbooks that are sure be the jewels of any collection. Start with options about your own home region, and take it from there!